Riva Enterprise is the most promising Manufacturer firm founded in the year 2015 to bring forth excellence with the offered range of designer Saree and Suit. We have earned strong trust from cosmopolitan consumers for presenting the exquisitely designed ethnic collection of Designer Suit, Patiala Suit and Designer Saree. All our products are developed under deep scrutiny of quality experts and gained us wide recognizance for its comprehensive features of unique designs, trendy color patterns, surprising softness and remarkable durability. Owing to the passion of our experienced designers we are anticipating the evolving demands of trend conscious consumers. Their expertise and knack for crafting elegance with each piece gained us the capability to deliver complementing sarees and suits for women of all age groups. Further, total client satisfaction is the key to our business operations which makes us accountable to select the finest grade of embroidery work, print work and rich embellishments. We study current market trends and implement the ongoing technology at our in-house design and manufacturing studio. 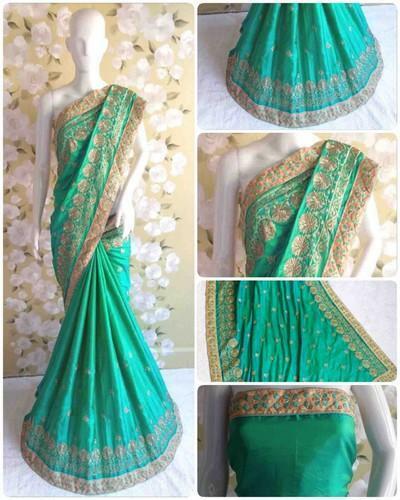 In addition, our experts are backed with vast knowledge of the industry and make sure to procure the best quality chiffon, santoon and pure georgette material to attain the sartorial elegance with promise of matchless finish and competitive price.